Greenspot Salad Company loves a delicious salad, and we hope you will come in to try one of the many delectable salads that we offer. 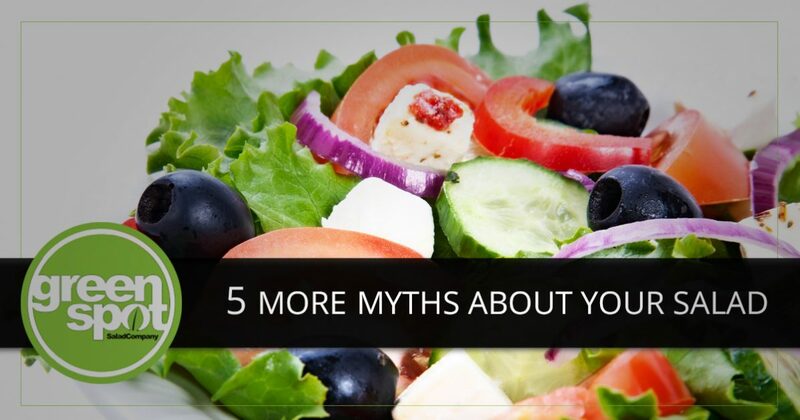 In a previous post we discussed the truth behind five myths about salads, and today we will debunk a few more myths about these tasty green meals. While salads are definitely a good nutritional food source, there are some things that you should be aware of so that you don’t accidentally sabotage your healthy choice. 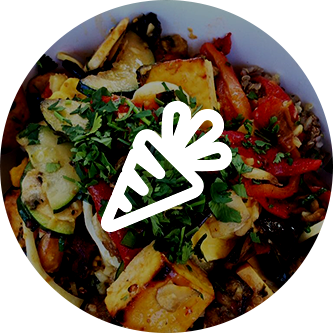 Visit us at one of our San Diego locations today and taste our delicious salads for yourself. While garbanzo beans are a source of protein, you will need to add more than a sprinkle to be sure that you are getting the proper amount of protein. You will need to add at least ¾ of a cup of beans, plus ¼ of a chopped egg, or ¼ of a cup of shredded cheese to fulfill your body’s protein needs for that meal. Greenspot Salad Company provides many delicious protein options for your salad, so be sure to try them all! There are many benefits to choosing organically grown foods, but there are also some things you should be aware of so that you can make the choice that is best for you. If your primary concern is to get as many nutrients into your body as possible, then it is the freshness of the salad’s ingredients that matters most. Once vegetables are picked, they start to lose vitamins B, C, and other nutrients, each day. While you definitely need to have a variety of items in your salad, you need to be careful as to the amount of each item that you add. Certain ingredients will have more calories than others, and you can quickly go sideways with your nutrition plan. There is definitely a place for each item that you want, just be sure to check the nutrition facts before you add them in so that you are in control of your caloric intake. If your mental picture of salad is one that shows a bowl full of lettuce leaves with a sprinkle of dressing, then yes, that salad will not be very filling. If, however, you create a salad that has a healthy balance of lettuce, veggies, nuts, cheeses, and meats, then you can see how filling salads are. Try a lighter fruit salad during the summer, an autumn salad with fall squash, or a winter salad with fresh berries, and you will discover a world of flavor that is also filling. If you eat one of the salads we make at Greenspot Salad Company, then you will know that this statement is far from true. We provide the freshest ingredients in every salad we make. We offer a variety of types of salads as well to appeal to different tastes. 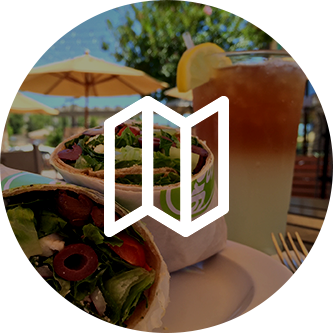 From Greek to Caesar, and everything in between, we provide the perfect salad to support your nutritional needs and tempt your palate. Once you try one of our salads, we know you will agree that it’s not just a salad. 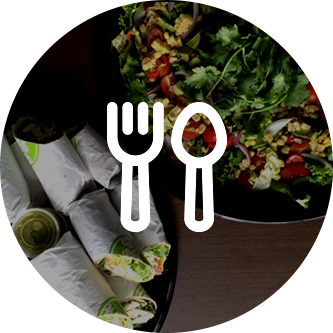 At Greenspot Salad Company, our goal is to provide salads that are healthy and delicious for all of our customers in San Diego. Whether you are a resident, or just visiting our beautiful city, be sure to stop into one of our locations and enjoy a salad today!